This year, take mom out for tapas downtown instead of the traditional brunch. For Mother’s Day, Tango will be serving up everything from bacon-wrapped dates to Spanish meatballs and plenty of dessert. For reservations, visit tangorestaurant.com or call 206.583.0382. Executive chef Walter Pisano will be serving up classic brunch favorites with an Italian twist at this traditional downtown spot. Come for a meal and your favorite brunch cocktail between 8 a.m. and 2 p.m. The dinner menu will open at 5 p.m. for those looking to celebrate Mom later in the day. For reservations, visit tulio.com or call 206.624.5500. Stop by for a full-scale, three-course buffet downtown featuring apps and entrées of both surf and turf, like grilled beef tenderloin and seared scallops. Don’t miss out on great cocktails, and a variety of wines by the glass and bottle. $75 for adults, $25 for the kids, brunch is served from 10 a.m. to 3 p.m. For reservations, visit goldfinchtavern.com or call 206.749.7070. Celebrate Mom Italian style with a two-course, prix-fixe brunch menu at $35 per person in Eastlake. Featuring a $15 kids menu, so be sure to bring the little ones along. For reservations, visit serafinaseattle.com or call 206.323.0807. This downtown Mediterranean staple will be serving up a unique Mother’s Day brunch, featuring one-of-a-kind crab and egg dishes and cocktails. For reservations, visit andaluca.com or call 206.382.6999. For this brunch over in Leschi, come in between 9 a.m. and 4 p.m. where Mom can enjoy a complimentary mimosa, Dungeness crab quiche and other breakfast favorites. For reservations, visit bluwaterbistro.com or call 206.328.2233. This Capitol Hill Middle Eastern favorite will be serving up all their classic dishes for Mother’s Day, featuring special house spices and original recipes, putting a modern twist on traditional cuisine. For reservations, visit mamnoonrestaurant.com or call 206.906.9606. For a Mother’s Day with a Cajun spin, venture to Queen Anne for a variety of Benedicts, omelets and Creole breakfast favorites. For reservations, visit toulousepetit.com or call 206.432.9069. Venture down to the Belltown waterfront between 11 a.m. and 3 p.m. for a brunch buffet of epic proportions, prepared by executive chef Jesse Souza for $80 per person. For reservations, visit edgewaterhotel.com or call 206.269.4575. For Mother’s Day, hop over to Bainbridge where Hitchcock will open for special brunch hours, featuring seasonal dishes and complimentary champagne. Between 11 a.m. and 2 p.m., stop in for special takes on pork loin, salmon eggs Benedict, cocktails and much more. For reservations, visit hitchcockrestaurant.com or call 206.201.3789. This family-style Mother’s Day dinner just blocks away from Volunteer Park features bites like chilled sweet pea bisque, seafood stew with a variety of proteins and lemon chevre cheese cake for dessert. Starting at 6 p.m., this supper is available for $45 per person. For reservations, visit alwaysfreshgoodness.com or call 206.328.315. For a big Mother’s Day brunch, head over to Madrona where Feed Co. will be featuring all the favorites, and not just burgers. 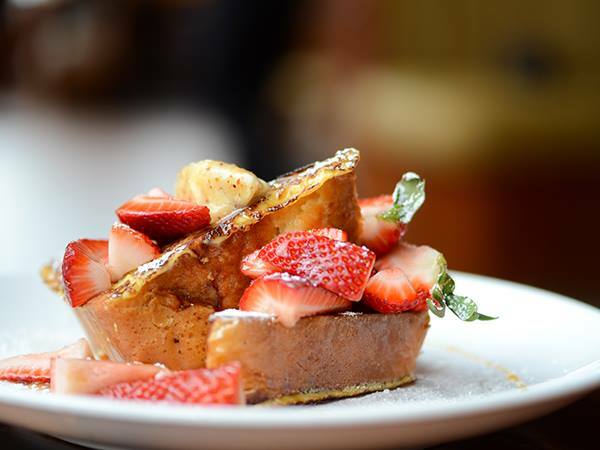 Start with bottomless mimosas ($17), and dive into chicken and waffles, breakfast bowls, French toast and much more. Stop by between 11 a.m. and 2 p.m. For reservations, call 206.726.6000. This buffet lunch in First Hill, featuring Belgian waffles, salted caramel glazed ham on brioche rolls, omelets and freshly baked pastries, will run from 8 a.m. to 1 p.m. for $34 per person, and don’t forget about the mimosas and Bloody Mary’s. For reservations, visit hotelsorrento.com or call 206.622.6400.